SAN GABRIEL >> Two brothers from Long Beach were behind bars Friday after San Gabriel police found them driving through town with a kilogram of cocaine stowed in a shoe box, officials said. Manuel Eugenio Salazar, 23, and brother Jorge Eugenio Salazar, 22, were both booked on suspicion of transportation of narcotics following their arrests shortly before noon Thursday, according to San Gabriel police officials and Los Angeles County booking records. The bust stemmed from a “routine traffic stop” about 10:25 a.m. in the 1300 block of South San Gabriel Boulevard, Lt. Riki Nakamura said. An officers topped a Nissan being driven by Manuel Salazar, with his brother riding as a passenger, for having no license plates, the lieutenant said. It was also soon determined that the driver had no license. Police prepared to tow the car, Nakamura said. While conducting an “inventory search,” police found a 2.2-pound brick of cocaine stashed inside a shoebox within the car. A drug-sniffing dog examined the car but found no additional drugs, he said. 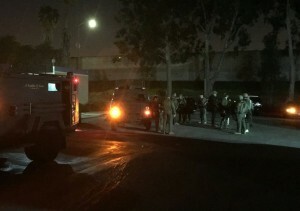 Manuel and Jorge Salazar were being held in lieu of $30,000 bail each at the Alhambra Police Department’s jail pending their initial court appearances, scheduled Tuesday in Alhambra Superior Court, records show. 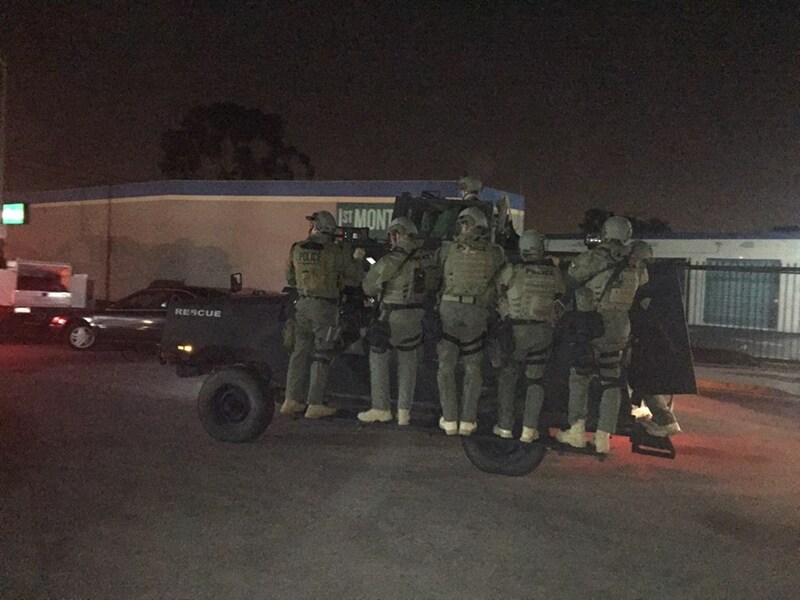 LONG BEACH >> A SWAT team early Thursday apprehended a man in Long Beach who’s been linked by DNA to a Whittier check cashing business robbery four months ago, authorities said. Timothy Deaunti Jordan, 26, of Long Beach, who was already on parole for a previous robbery conviction, was jailed without a struggle when a SWAT team found him about 5:45 a.m. at a home in the 200 block of West Gardner Street in Long Beach, according to Whittier police officials and Los Angeles County booking records. He’s accused of taking part in the early-morning, Nov. 16, burglary and armed robbery of a Whittier check cashing business in the 8800 block of Painter Avenue, Whittier police Officer John Scoggins said. The window of the businesses was found smashed, but nothing was believed to have been stolen, Scoggins said. Police took burglary report and left, and the owner, a woman, stayed at the business to clean up the mess, he said. The burglars returned while the woman was at the business, armed with a handgun, Scoggins said. They forced the owner to open a safe at gunpoint and fled with a large, undisclosed amount of cash. Investigators found blood believed to belong to one of the suspects at the crime scene and submitted it to the crime lab for analysis. The lab recently informed Whittier police that the DNA matched that of Jordan, who was already on parole for a robbery conviction. Jordan was being held without bail pending a scheduled arraignment hearing Monday, officials said. Police continued seek at least three additional suspects in November’s break-in and robbery, Scoggins said. 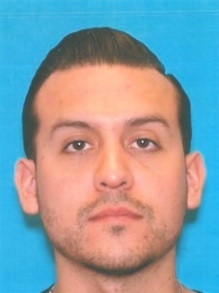 Anyone with information can reach Whittier police at 562-567-9200, or the department’s tip hotline at 562-567-9299. SANTA FE SPRINGS >> Police jailed two men and a woman late Wednesday in connection with an armed robbery at a Santa Fe Springs liquor store. The heist took place about 8:20 p.m. in the 11000 block of Washington Boulevard, Whittier police officials said. Responding police officers spotted the suspects fleeing the area and tried to pull it over, officials said. “The suspects attempted to flee, but crashed into parked car in the 8300 block of Vanport (Avenue),” police said in a written statement. The handgun used in the robbery, as well as cash, were recovered from the vehicle. Arrested were Matthew Hoge, 22, of Montebello; Willie Jefferson, 20, of Long Beach; and Shauntel Jewel Peterson, 18, of Long Beach, according to police and Los Angeles County booking records. Hoge was released from custody early Thursday pending his initial court appearance after posting $50,000 bail, records show. Jefferson was being held in lieu of 75,000 bail, while Peterson was being held with a bail of $50,000. PASADENA >> An eight-months-pregnant woman reported missing in La Habra Tuesday turned up safe in Pasadena Thursday, officials said. Adrienne Moreno vanished Tuesday afternoon after being dropped off for an appointment in La Habra. Worried family members reported the woman, who is eight-and-a-half months pregnant, missing to La Habra police, La Habra police Sgt. Jose Quirarte said. 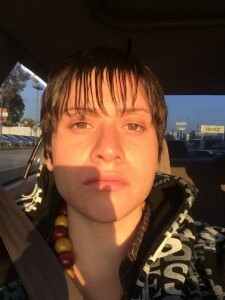 Investigators received reports the woman had been sighted walking alone in the Pasadena and Monrovia area Wednesday, but were not able to find the woman, Quirarte said. She was not believed to be a victim of foul play. Someone in Pasadena recognized the woman from media coverage about 2:30 p.m. Thursday in the parking lot of a Ralphs Supermarket at 3601 E. Foothill Boulevard, Pasadena police Lt. John Mercado said. She appeared unharmed, but told officers she was hungry, Mercado said. Police notified La Habra police and took the woman for a meal before bringing her back to the Pasadena Police Department. LA HABRA >> Police and concerned family members have asked the public to keep an eye out for an eight-months-pregnant Long Beach woman who went missing in La Habra Tuesday. Adrienne Moreno was last seen between 1 p.m. and 1:30 p.m. after she was dropped off in the 100 block of North Euclid Street for an unspecified appointment, La Habra police Sgt. Jose Quirarte said. She has not been seen since. Worried family member reported her missing to police about 2:30 p.m., officials said. Moreno is Latina, about 5 feet 7 inches tall, 165 pounds with brown hair and brown eyes, police said. She was last seen wearing a black shirt and olive-colored sweatpants. While authorities were concerned for the woman’s wellbeing, “There’s nothing to indicate there was any type of foul play,” Quirarte said. Anyone with information is asked to contact La Habra police at 562-383-4300, or Detective Lucifora at 562-383-4364. NORWALK >> A Downey man pleaded no contest Wednesday to fatally stabbing a Long Beach man during a dispute at a Norwalk home earlier this year, authorities said. William Edward Johnson, 38, entered a “no contest” plea in Norwalk Superior Court to a count of voluntary manslaughter for the March 4 stabbing death of 53-year-old Darin Sivley, Los Angeles County District Attorney’s Office spokeswoman Sarah Ardalani said. Johnson also admitted the special allegation that he personally used a knife in the crime. Under the negotiated plea arrangement, Johnson is expected to receive a 12-year prison term when he returned to court for sentencing Monday, Ardalani said. He had originally been charged with murder prior to the plea deal. Sivley was found fatally wounded on along the road near Studebaker Road and Ferina Street shortly before 3 a.m., Los Angeles County sheriff’s officials said. But the stabbing took a place while both Johnson and Sivley were at the home of a mutual acquaintance nearby, according to sheriff’s and district attorney’s officials. Someone at the home place a tourniquet on Sivley’s wound before Sivley got on a bicycle to go to a hospital, officials said. But soon collapsed and bled to death. Detectives from the Sheriff’s Homicide Bureau arrested Sivley in connection with the fatal stabbing two days later. LONG BEACH >> A Long Beach resident fatally shot an intruder who broke into a home early Sunday morning, in the second fatal shooting of an intruder by a Long Beach resident in three weeks, authorities said. The break-in and fatal shooting took place shortly before 3 a.m. at a home on 3rd Street, just east of Temple Avenue, Long Beach police Sgt. Megan Zabel said. Few details were released regarding the incident Sunday as homicide detectives continued investigating the incident. The alleged intruder, who died at the scene of the shooting, was not identified pending notification of family, Zabel said. Police described him only as a man. “Officers responded to the 2800 block of East 3rd Street in regards to a burglary in progress where the resident has shot the suspect in the home,” Zabel said. “Officers arrived along with Long Beach Fire Department paramedics, who pronounced the suspect deceased at the scene,” she said. There were two adults inside the home at the time of the shooting, Zabel said. Police declined to provide any further description of the shooter or the second person in the home. Police also released no details regarding the encounter between the shooter and the intruder, including whether the intruder was armed. The residents had not been arrested Sunday as the investigation continued, Zabel said. Prosecutors will then determine whether any charges are to be filed, Zabel said. The residents were not believed to have been injured in the incident. The shooting comes less than three weeks after another alleged residential burglar was shot by another Long Beach resident July 23 in the 3900 block of Country Club Drive. Andrea Miller, 28, died after she was shot by 80-year-old Tom Greer, according to Long Beach police and statements Greer made to KNBC. Miller and her alleged accomplice, 26-year-old Gus Adams, beat Greer when he interrupted their burglary of his home, according to police and Los Angeles County District Attorney’s officials. Greer, who suffered a broken collar bone among other injuries in the incident, said in a television interview that he shot Miller as she was running away, but still considered the shooting self defense. Miller shouted out that she was pregnant just before she was shot, but a coroner’s investigation found that was not the case. Adams has been charged with murder, robbery, elder abuse and other crimes in connection with the incident. His mother, 49-year-old Ruby Adams, has also been charged with burglary, robbery and elder abuse for allegedly serving as a lookout during the crime. Across Los Angeles County in Diamond Bar, a resident shot at an intruder inside his home in the 400 block of N. Del Sol Lane on Friday afternoon, though the burglar was believed to have escaped uninjured, Los Angeles County sheriff’s officials said. NORWALK — A senior citizen couple from Downey suffered major injuries Sunday when their car flipped multiple times on the 605 Freeway in Norwalk after being struck by another car driven by a drugged driver, authorities said. Victor Manuel Martinez, 22, of Long Beach was arrested on suspicion of driving under the influence of drugs in connection with the 10:43 a.m. crash on the northbound 605 Freeway at Imperial Highway, California Highway Patrol Officer Monica Posada said. He was exiting the freeway at Imperial Highway when his vehicle struck the curb, sending it over a dirt shoulder and back onto the freeway, where is collided with another car occupied by the man and wife. The couple’s car flipped several times, according to CHP and Los Angeles County Fire Department officials. The man and woman, who were estimated to be in their 60s, were taken to St. Francis Medical Center in Lynwood, fire Capt. Richard Weise said. Updates on their conditions were not available, however both were conscious and breathing when hospitalized. Martinez was examined by paramedics at the scene and taken into custody, officials said. It was not immediately clear what drug or drugs Martinez is accused of being under the influence of at the time of the crash. The crash forced the closure of the right three lanes of the northbound 605 Freeway and resulted in a Sig Alert that remained in effect for more than an hour.